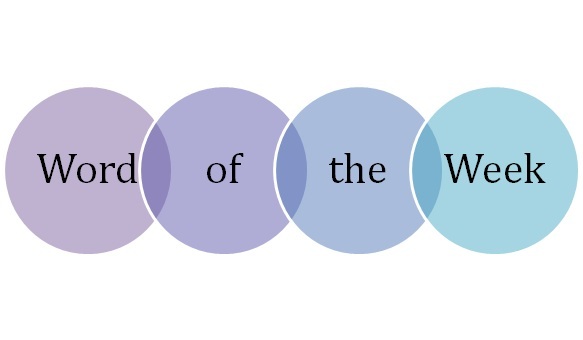 This week’s WOW is lackadaisical (adj. ): lacking enthusiasm and thoroughness. It’s the sort of word you think can’t be real when you first hear it, so fantastical does it sound. In fact as far as words evolving over time into new words makes them ‘made-up’ words, this one certainly was made up; but in a fascinating way. It can be traced back to the simple monosyllable ‘lack’, which in Medieval times was likely to have connotations along the lines of regret, dismay, of something missing (the echoes of which are still in the word today). This became ‘alack!’, a cry of dismay when something was going wrong, as in the Shakespearean-sounding ‘Alack and alas!’. This in turn morphed into the expression ‘alack-a-day!’, used in regret or sorrow when things were turning Medievally woeful. ‘Alack-a-day’ became ‘lackadaisy’ and quickly after ‘lackadaisical’ sometime in the 18th century. The meaning had changed somewhat; originally someone being ‘lackadaisy’ or ‘lackadaisical’ had been someone unfortunate enough to have to cry ‘alack-a-day’ often; I presume someone to whom events often seemed to take a turn for the worse. Over time, however, the meaning became somebody merely pretending to be experiencing dismay and loss, rather than someone who actually was. This eventually gave us the meaning we have today, of someone lacking in zeal and spirit, lazing and avoiding work – and the implication is that this is an affected state rather than a real one. Hi ho! Alas! and also, lackaday! Though the Gershwins were ostensibly employing outmoded expressions of dismay knowingly in their hi ho, alas and lackday, it’s interesting to note that this use of the word implies the older, 18th century meaning (the song was written in 1930). One final point of editorial interest for ‘lackadaisical’ – it’s commonly misspelled and mispronounced as ‘laxadaisical’, probably being confused with the word ‘lax’ (related to ‘relax’). One to watch out for because when the word is used correctly, it’s well worth using.